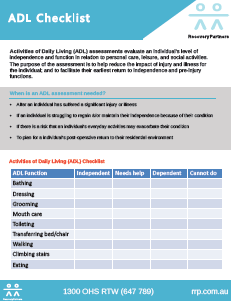 Activities of Daily Living (ADL) assessments evaluate an individual’s level of independence and function in relation to personal care, leisure, and social activities. The purpose of the assessment is to help reduce the impact of injury and illness for the individual; and to facilitate their earliest return to independence and pre-injury functions. These assessments are typically completed by Occupational Therapists and will most regularly be conducted within the individual’s residential environment. Accordingly, Occupational Therapists look to manage inherent environmental challenges through the modification, substitution, or elimination of task performance requirements, and by doing so can produce greater functionality for the individual improving their biopsychosocial well-being. Furthermore, an ADL assessment can also provide an indicator of functional tolerances for determining work capacity. What is an ADL assessment likely to involve? What an ADL assessment produces? Professional advocacy for support with equipment, modifications and services procurement following formal approval receipt. >> What's the purpose of an ADL assessment? We welcome your enquiry. 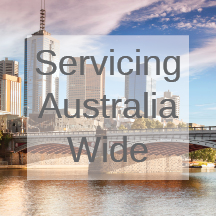 Recovery Partners are able to coordinate for an array of references with respect to our ADL Assessments upon your request.